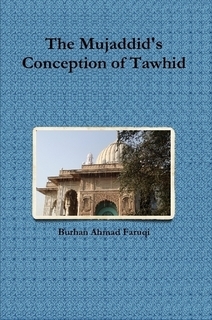 The famous book of Mawlid, written by Ja'far bin Hasan al-Barzanji (1128-1177 AH). Compilation of the selected letters of famous Islamic scholars and Sufi masters of Sindh who lived around 18th century CE. This contains 36 Arabic letters and 69 Persian letters. 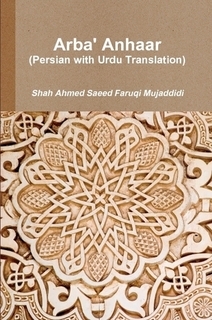 Arabic manuscript, with Urdu translation, containing biography of Khwaja Muhammad Saeed Faruqi Sirhindi, who was the 2nd son of Imam Rabbani Shaykh Ahmed Sirhindi. The Holy Quran with colored characters to indicate various Tajweed rules for easier recitation, published by Pak Company, in South Asian (Indo-Pak) Arabic script. This is one of the earliest books written on the biography of Hazrat Imam Rabbani Mujaddid Alf-e-Sani Shaykh Ahmad Faruqi Sirhindi (d. 1034 AH). It is written in Arabic by his grandson Shaykh Abdul Ahad Wahdat (d. 1126 AH).